The AT Awards 2019 are the premier accolades that demonstrate and recognise outstanding achievement — celebrating Architectural Technology at its best. Applecore Designs are extremely excited to be supporting the AT Awards 2019 being held in London on 13 September 2019 as Media Partner and Sponsor. With more and more available and affordable VR applications on the market, most architectural professionals are willing to try 3D immersive walk-throughs of their architectural project. According to the architectural visualisation technology report by Chaos Group, over two-thirds of architecture and architectural visualisation professionals plan to use VR in 2019. VR technology gives clients the possibility to “physically” be inside the project and explore the area in their own way and at their own speed. It fills in the limitation of a preset animation and static renderings. 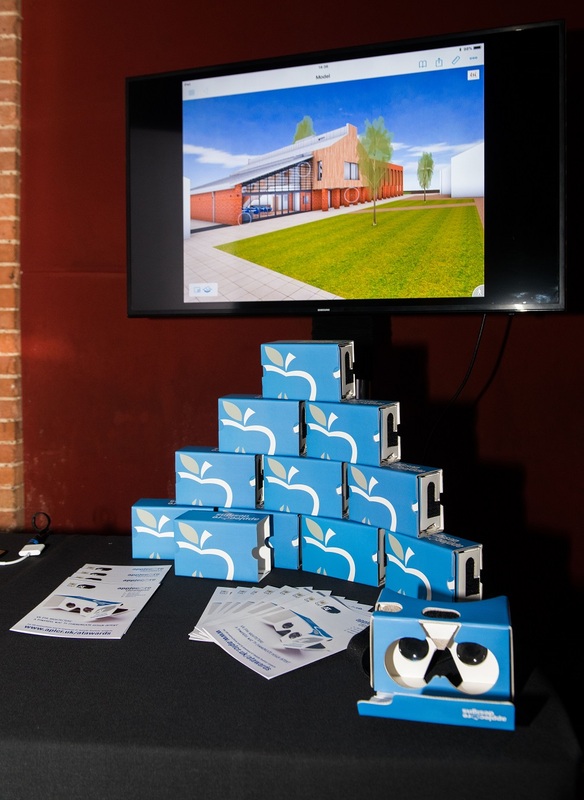 As with last years event we will be providing a real-time 3D immersive VR experience of the majority of finalist projects throughout the afternoon including exploring and interacting with the models, and accessing data on the move. Finalists will be asked to provide a 3D model (ARCHICAD, IFC, Revit, Sketchup, or 3DS) and 2D drawings (ARCHICAD, PDF, or DWG) for integrated 2D and 3D building project navigation bridging the gap between the design studio, client and the construction site. The AT Awards 2019 are officially OPEN for entry. Find out how you can enter, key deadline dates and booking information. The countdown starts here!